Since you have brought back a couple of the limited edition cups in the last year...WHY have you not brought back my beloved Reese's Cookie Cup? WHY, WHY , WHY?!!!!! It's not fair! You NEVER do what I want you to do. I hate you! I HATE YOU!! 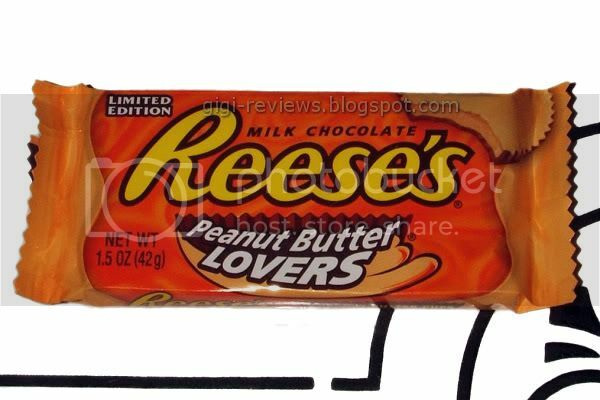 OK, now that we have gotten past Hysterical Teenage Gigi, let's talk about the re-released Peanut Butter Lover's Cups. If you missed them the first time around, waaaaayyy back in the olden days of 2005, the Peanut Butter Lover's Cups have an extra outer layer of peanut butter on the outside that hides the inner, thinner than normal layer of milk chocolate. 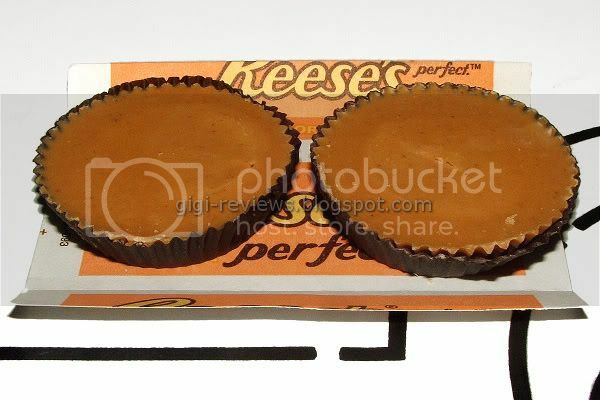 And then, of course, the interior is the classic Reese's center. 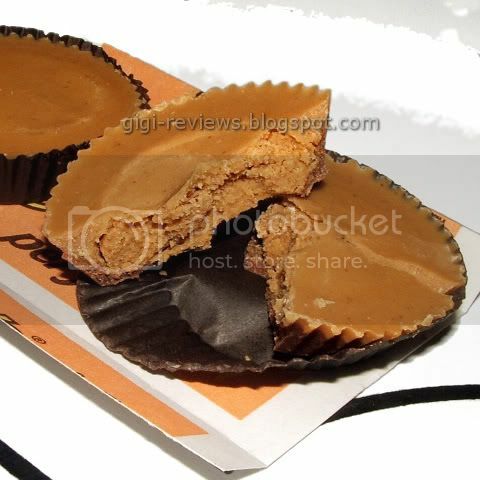 The outer peanut butter layer is smoother and more mellow than the center peanut butter. It tastes more like something that is peanut butter flavored than actual peanut butter. The chocolate layer is almost entirely lost after being smothered by all the peanut butter -- but since this is, after all, the Peanut Butter Lover's cup, that's more or less what I expected. The center is pure classic Reese's peanut butter. Crumbly, salty perfection. Honestly, as much as I like classic Reese's cups and the peanut butter center, what kills this cup for me is the outer layer. Maybe if it were less sweet or more like actual peanut butter than something just peanut butter flavored, I would like it more. I can see where people who are fans of things like peanut butter flavored cereal would go crazy for these. All told it's not bad but not especially good either. It's just...forgettable. Be sure to also check out Cybele's review. Gigi- check out my review of Twix PB. It's almost identical to the CCC!